Located at the southeast quadrant of Pharr, this park will have standard amenities to include basketball courts, restrooms, bbq areas, play structures, multi-use open space with a walking trail will be approx. a quarter of a mile. Total estimated cost for this park is $750,000. Phase II will include additional playing fields, walking trails and family gathering spaces for Pharr residents to enjoy. The City of Pharr will be adding more parking space and restroom facilities. Walking trails will be modified and additional basketball courts will be implemented. Improvements to the existing park located in central west Pharr include new shade canopies, concrete floor re-finishing, landscaping and painting exisiting structures. This park will be approx. 20 acres. Splash pad wil be added on the north side and a walking trail will be approx. one mile in length. 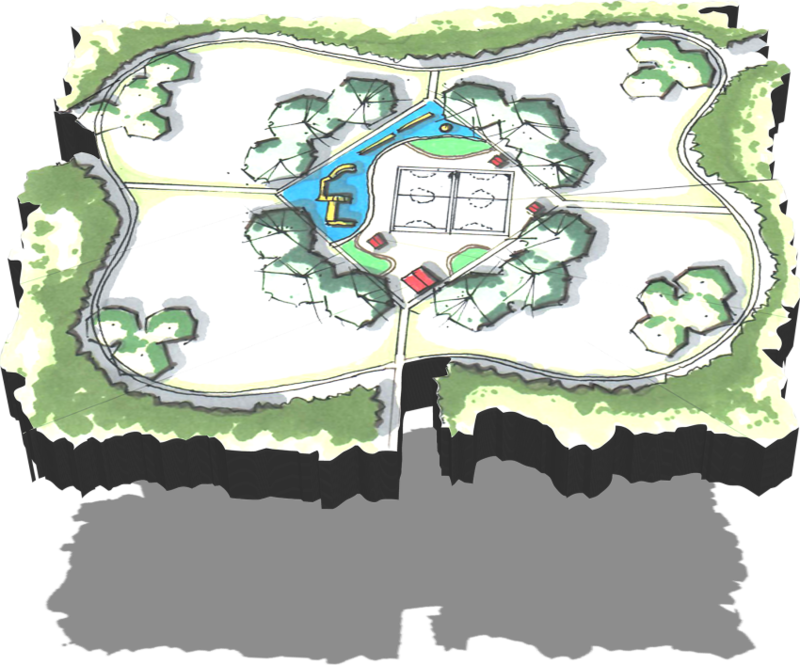 This park will have standard amenities to include basketball courts, restrooms, bbq areas, play structures, multi-use open space with a walking trail. Located in downtown Pharr, this park will be a modern community pocket park with a staging area for performances and gathering area for community events. The Splash Pad Park will be north of Arnold Elementary Park. The City of Pharr will be constructing a Nature Park for our valued residents. This park will include an amphitheater, and education hot spots to learn more in depth about nature. Located on the east side of Pharr on the floodway. Approx. 130 acres, City will partner with PSJA school district where students will be able to utilize acrereage for agricultural activities. Located behind Henry Ford Elementary and will be easily accesible by students. Since 1909, the City of Pharr has been striving to create a quality of life for their residents that allow them to live, work, play and prosper in Pharr. © 2016 City of Pharr Site by City of Pharr I.T.